Carson LT-80 LinenTest Magnifier is a compact, fold-out LinenTest magnifier featuring a 30mm glass lens. The metal frame design is sturdy and durable. It has markings in both inches and centimeters for easy measuring of small parts and is perfect for stitch counting. 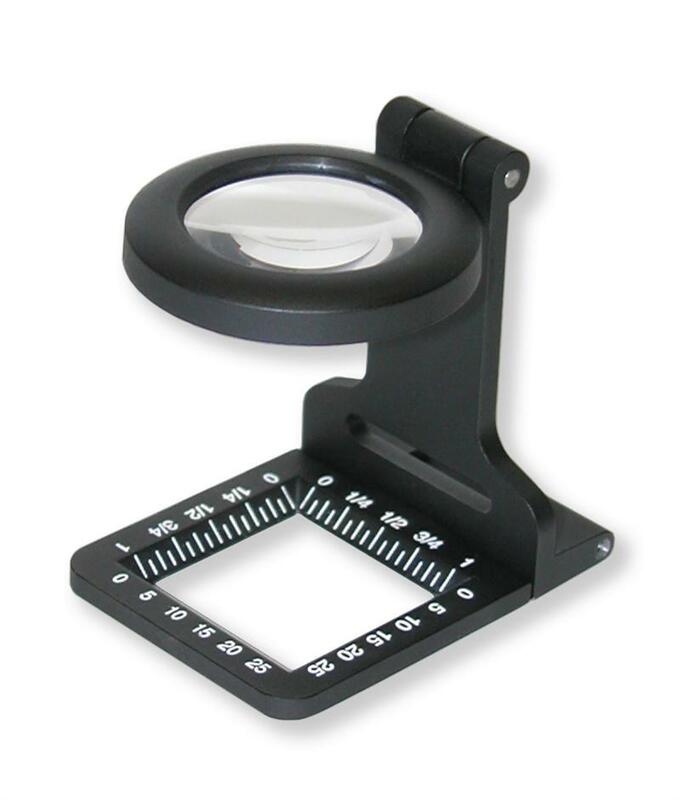 This magnifier is portable and folds flat for storing when not in use. Includes a soft pouch to protect from damage when not in use. 5x Magnification. Dimensions 2.25" x 1.75" x 0.5"